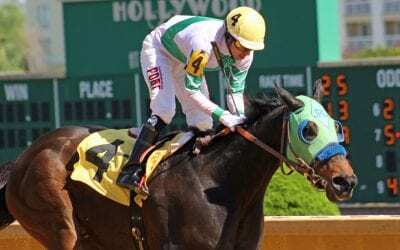 Jockey Carol Cedeno has won four of the last five riding championships at Delaware Park and hopes to add a fifth this season. 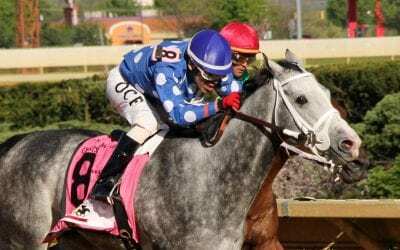 The Mike Trombetta-trained Win Win Win will make his next start in the Kentucky Derby May 4 after one work over the Churchill surface. 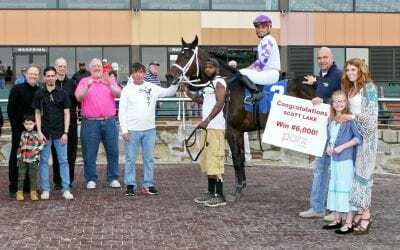 Trainer Scott Lake scored his 6,000th career win when I’m the Talent romped at Parx Racing Monday. 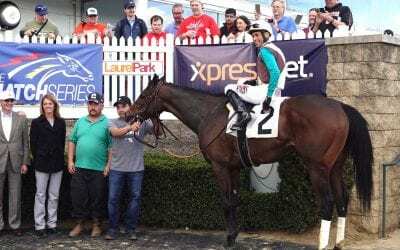 For the first time, a West Virginia-bred won the G2 Charles Town Classic as Runnin’toluvya scored the upset Saturday at Charles Town. Couldn’t have been any easier today for Alwaysmining, who won the Tesio Stakes to punch a ticket to the Preakness. 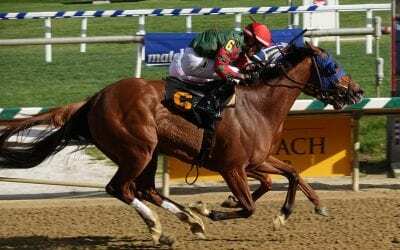 With a win in the Weber City Miss — her fourth straight — Las Setas on Saturday punched a ticket to the G2 Black-Eyed Susan Stakes. 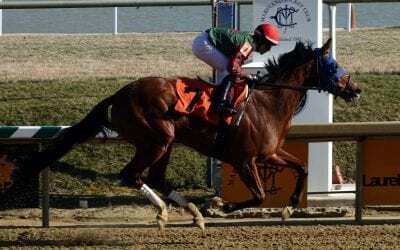 West Virginia-bred runners delivered the goods on Charles Town Classic day, as favorites ruled the day. 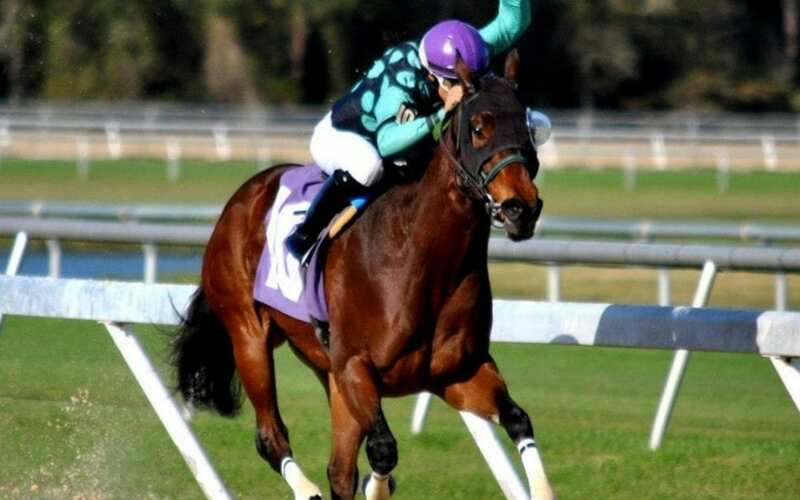 In which we flag some horses that might help make your Charles Town Classic day a profitable one. This week’s Off to the Races radio will include Md. Jockey Club president Sal Sinatra and Charles Town track announcer Paul Espinosa. 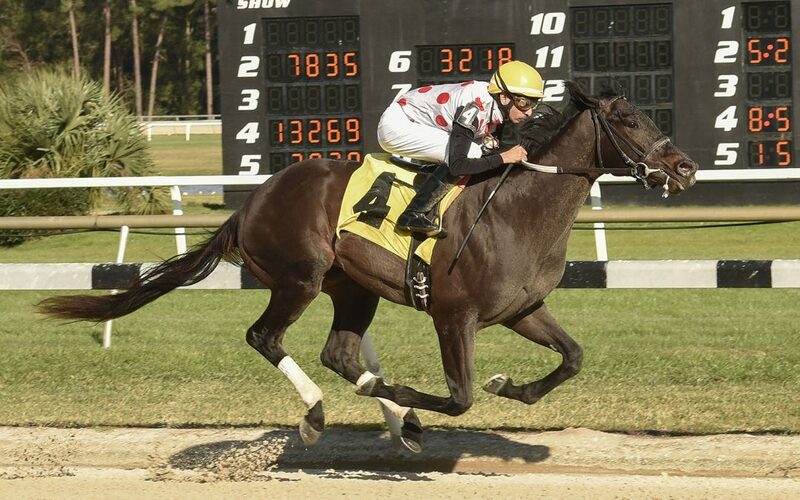 Riding a five-race win streak, Alwaysmining is odds-on to make it six in Saturday’s Tesio Stakes at Laurel Park. 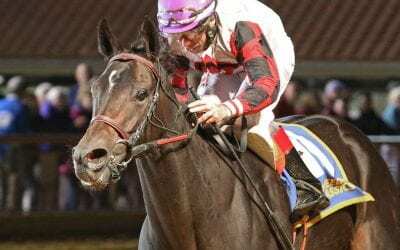 Las Setas has won two straight stakes and is a solid favorite to make it three in Saturday’s Weber City Miss at Laurel Park. A full field of 10 — plus an also-eligible — is entered in Saturday’s Grade 2, $1 million Charles Town Classic. Moreno, Researcher and the rest — the five fastest editions of the Charles Town Classic, plus some other news and notes. 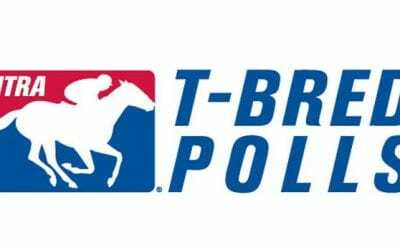 With track announcer Frank Mirahmadi committed to Santa Anita Park until late June, Jason Beem will fill in at Monmouth Park until then. Santa Anita Derby winner Roadster moved to the head of the three-year-old NTRA Top Thoroughbred Poll. 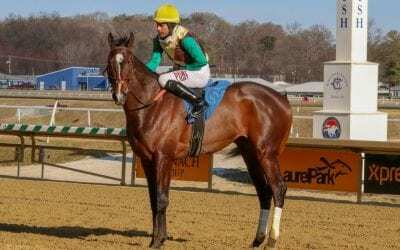 Trainer Michael Trombetta — dreaming Derby dreams with Win Win Win– sent out another promising youngster, Never Enough Time, to an allowance win at Laurel Sunday. 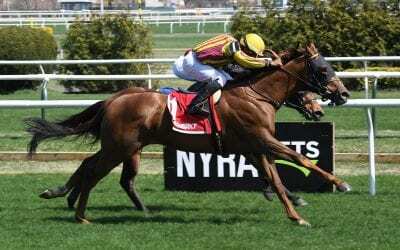 Bridgetown Stakes winner Regally Irish, from the same family as Irish War Cry, could land next in the James Murphy on the Preakness undercard. 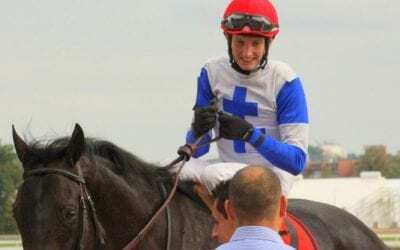 Leading rider Trevor McCarthy continued to clean up at Laurel Park, winning five on the Friday card. 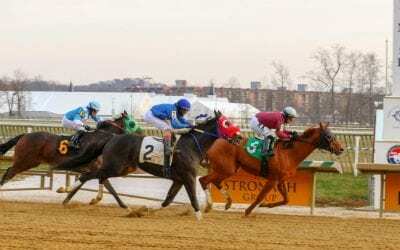 This week’s Off to the Races radio will include racing analyst Seth Merrow and Charles Town track announcer Paul Espinosa.